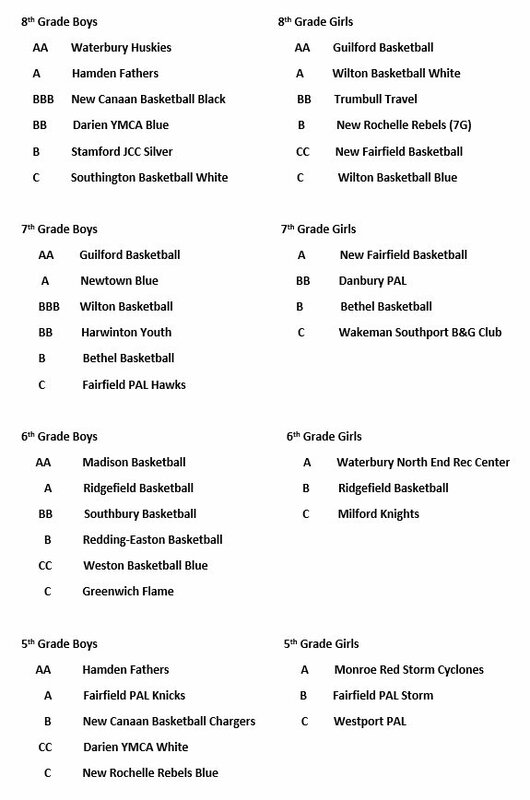 Welcome to the Fairfield County Basketball League Web Site. During the winter, the FCBL organizes both League games, nonLeague games and tournaments for 5th-8th grade teams from basketball organizations in Fairfield County (CT), New Haven County (CT), Hartford County (CT) and Westchester County (NY). Over 400 teams participate annually in FCBL winter league games. Our website's home page tabs to the left of this note serve as a free bulletin board service for our area's basketball related events and services. (Our website receives well over 150,000 hits annually).